Continuing his breakout season, GT7 Motorsports pilot Dylan Tavella would add yet another championship title to his resume this past weekend. 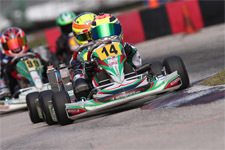 Heading to the NOLA Motorsports Park near New Orleans, Louisiana for the 2013 Rotax Pan-American Challenge, Tavella would leave the Micro Max Pan-American champion for the second straight year. Overcoming an early setback, the rising talent came from last in qualifying to claim the checkered flag in the final against a stacked field of 32 competitors. 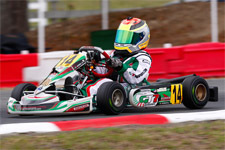 Starting off the three-day event with qualifying on Friday morning, the GT7/Tony Kart driver would find himself at the tail of the grid after facing a technical disqualification. Needing to work his way through the field during the three heat races to follow, Tavella battled hard during a wet heat one to finish 18th. Back on track Saturday for the two remaining heats, the Massapequa, New York resident continued to charge through the field. Starting again all the way back in the 31st position, Tavella posted 14th and tenth to keep his hopes of earning a repeat Pan-Am title alive. With the heat points calculated, Tavella would line up 12th for the upcoming prefinal. Coming into Championship Sunday, Tavella would lay it all on the line. 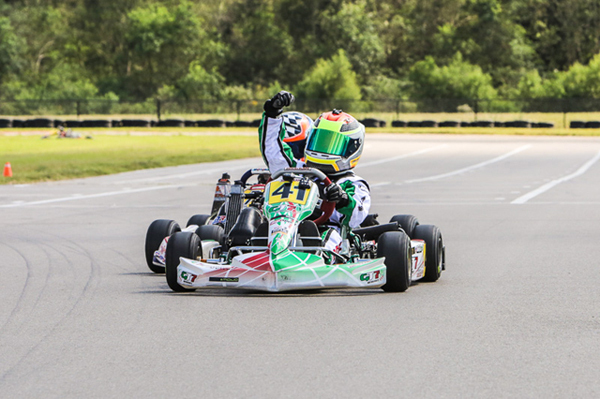 Making his way to the lead pack after a brief red flag in the prefinal, the 2013 Rotax Micro Max US National Champion battled for the win and coveted pole position for the all-important main event. 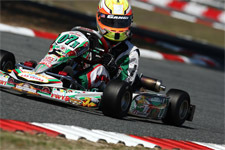 Moving into P1 on the final circuit, Tavella would lose his position as two karts drafted past through the final corner. Finishing in third, Tavella would line up on the preferred inside line of row two for the event's final race. Slotting into second on the start of the ten-lap final, Tavella and his closest rival quickly pulled a gap on the rest of the field. Biding his time and waiting to make a calculated move, Tavella went into the lead on the last lap. 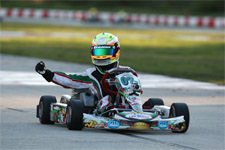 Reaching the checkered flag with his fist pumping, Tavella added yet another major victory and championship title to his already impressive resume. 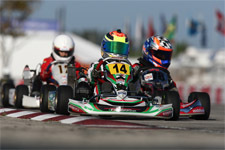 Tavella will next return to the same 1.1-mile NOLA course for the 2013 Rotax Max Challenge Grand Finals for the Rotax Micro & Mini Invitational. 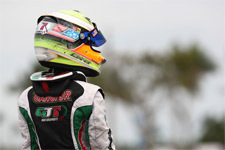 Featuring invite-only drivers from the United States, Canada and Mexico, Tavella will look to earn his third major Rotax title of 2013, this time on the world stage. Dylan would like to give a special thanks to his tuner and driving coach Charlie "The Man" Swayne for helping him win the hardest race to date. Also, thank you to Daniel Moffet, Daniel Lambert and the MAXSpeed Group for putting on an exciting event. Additionally, Dylan would like to thank his sponsors OVRP, Holeshot Drive Systems, MIR, Zero Error Axles and the Gangi Family.